Australia are visiting India to play two T20Is and five ODIs. The T20I series is slated to begin on February 24 while the ODI series starts from March 2. 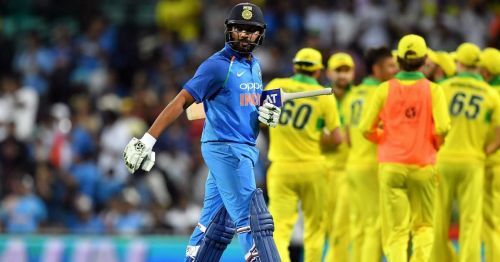 Australia lost their recent home Test and ODI series against India for the first time in their history. So they will be looking to restore the lost pride. On the other hand, this will be India's last international series before the much expected 2019 World Cup. The Men in Blue will utilize the series to set their combination for the World Cup. Hence, we could see lots of experiments in every game. Australia lost the ODI series 1-4 the last time when they toured India. It's not easy to beat the strong Indian side in their own backyard, irrespective of the format. India is also back home after strong overseas performances. However, If Australia can do these three things, they can beat India in both the T20I and ODI series. One of the main reasons why India did really well in the last year or two across the world is because of the consistent performances of their fast bowlers. They were the unsung heroes for India in all the recent overseas tours. 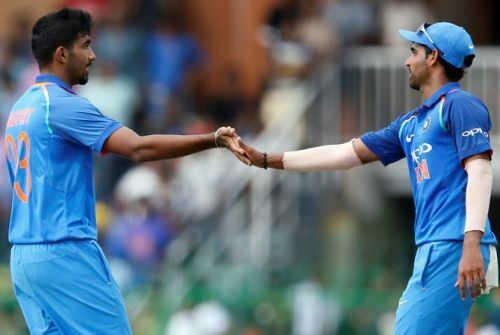 In white-ball cricket, pacers such as Bhuvneshwar Kumar, Jasprit Bumrah and Mohammed Shami gave their best and got back positive results. The best way to counter them is by playing an aggressive brand of cricket. In India, most of the wickets will suit the batsmen. Hence, it's the best opportunity for the Australian top-order to capitalize upon. Seeing the pacers off early won't be a great idea, as India can strangle Australia in the middle overs with the spinners. It might not be easy to go after the in-form seam bowlers. But that's the only way Australia can dominate the Indian attack.